This slow cooker hot chocolate is a deliciously creamy, chocolatey treat on a chilly winter’s day! 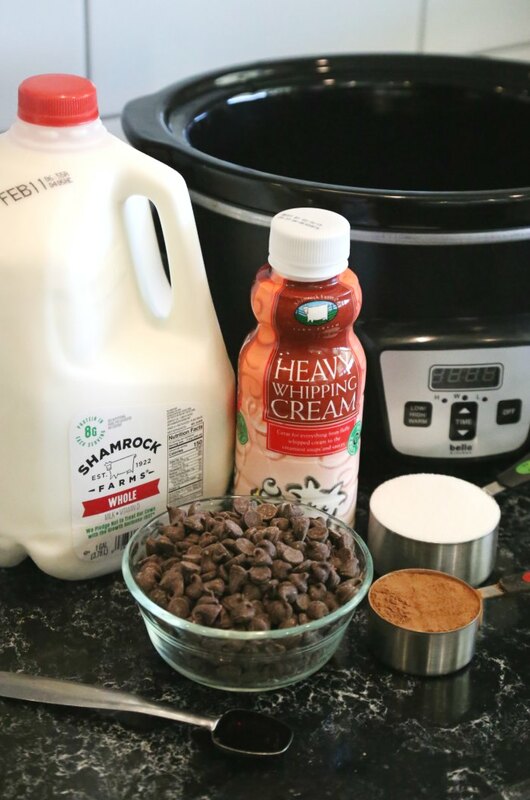 In fact, making hot cocoa in the crockpot is so easy and delicious that it might be only way you do it from now on. 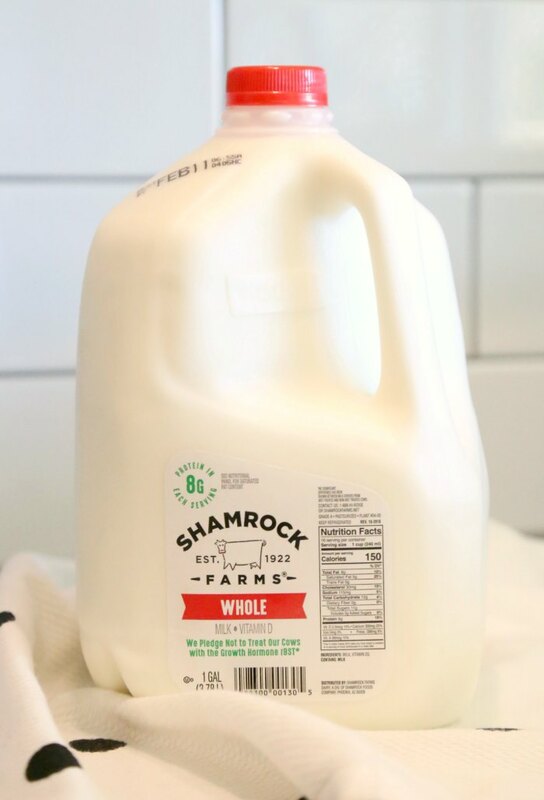 So, I’m thrilled to share this recipe with you today as part of a sponsored partnership with Shamrock Farms. Who else loves the brilliance and ease of their slow cooker (or “crock pot” – whatever you like to call it)?! I looooove it – especially for recipes when I’m feeding a group! I also love simple recipes – full of “normal” ingredients that you are likely to already have on hand in your kitchen! 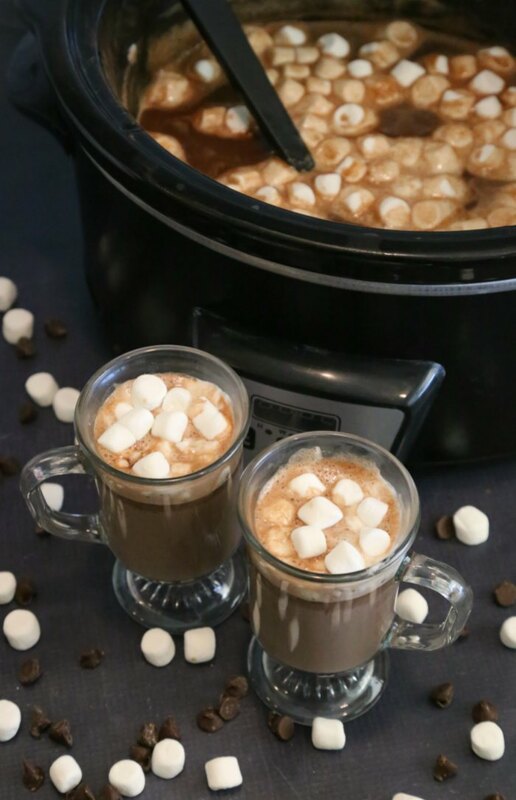 This slow cooker hot cocoa is a win on both counts! Doesn’t it look good?! I’m telling you – this is the way to make hot chocolate! Don’t bother buying the hot cocoa powdered packets again and dive into this good stuff instead – especially anytime you’re making it for the whole family or a party. In fact, the boys have deemed it THE BEST hot chocolate ever! I don’t blame them because I don’t even love hot chocolate and think this is pretty darn tasty! So good! 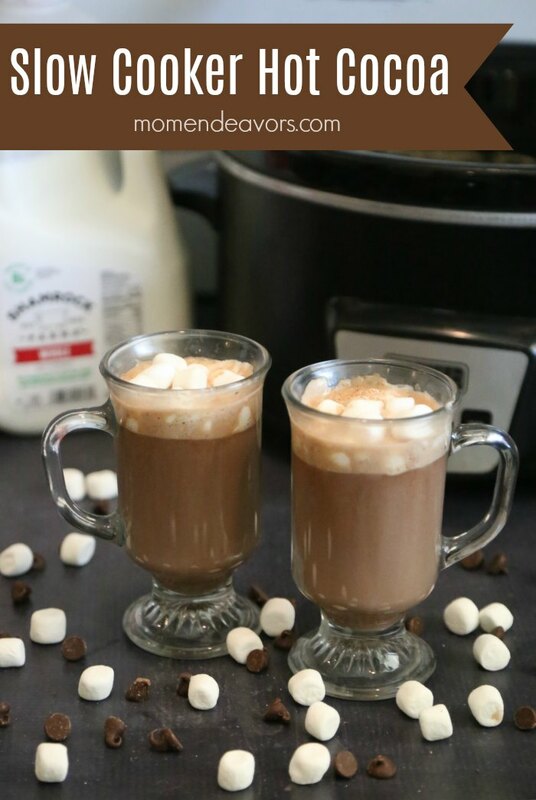 The secret to the rich & creamy flavor in this slow cooker hot chocolate is the use of high-quality, real ingredients! This slow cooker hot chocolate is a deliciously creamy, chocolatey treat on a chilly winter’s day! 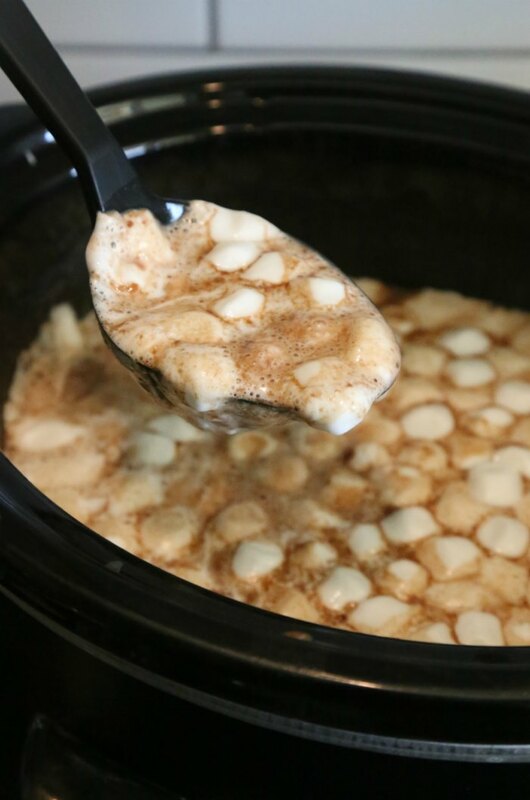 Add all ingredients (except marshmallows) to the slow cooker crock, stirring together the milk, whipping cream, cocoa, sugar, chocolate chips, and vanilla. Cover and cook on low for 2 hours, whisking occasionally (to keep everything well-combined and make sure the chocolate isn't burning. 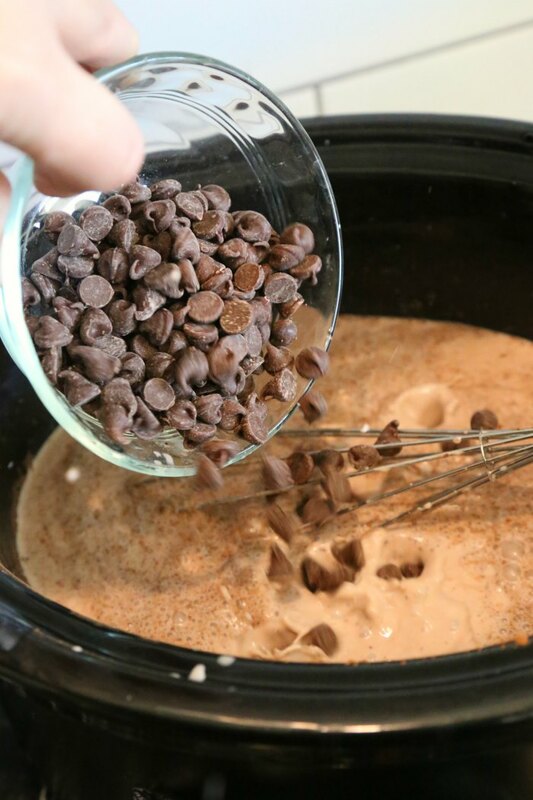 Once mixture is hot and all the chocolate chips are melted, switch the slow cooker to the warm setting. If desired, top with marshmallows before serving. Letting them sit for about 5 minutes will make the marshmallows nice and melty! The amount sugar is really to taste. If you're going to add a layer of marshmallows, you could try it with a very small amount of sugar to start and add sugar if needed. 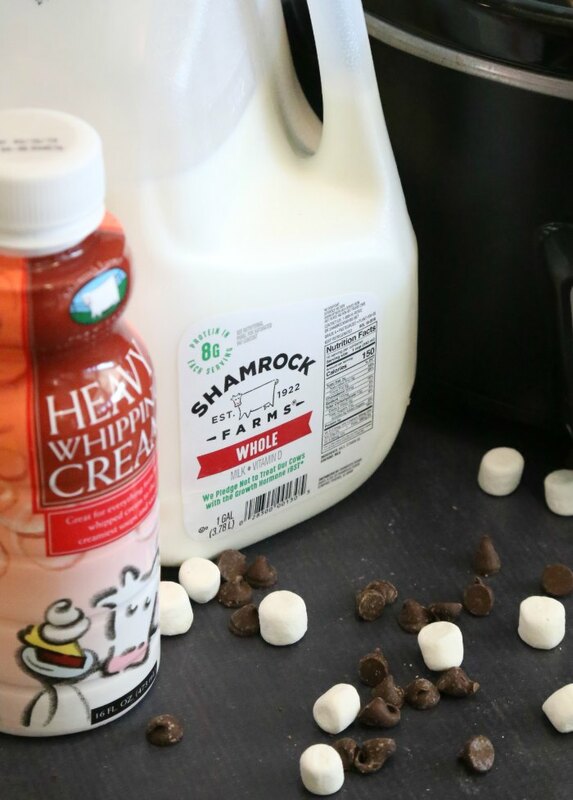 follow www.facebook.com/shamrockfarms and @shamrockfarmsmilk on Instagram.